Are you planning a camping trip for the upcoming weekend? If yes, then let us help you pick out what probably is the most essential accessory that you should be carrying with you. Yes, that’s right, it’s the best rechargeable flashlight! But, what should you do with it after you are done with camping? Do rechargeable flashlights have other benefits? Of course! Besides being a part of your camping backpack, flashlights also come in handy when there is a power outage. You can also use it to navigate your house in a dark, stormy night when the light goes out. Moreover, many people keep these rechargeable flashlights in their cars. This helps them to take a look at the engine comfortably in case the car breaks down. 2 Buying Guide for the Best Rechargeable Flashlight: What Factors Should You Consider? 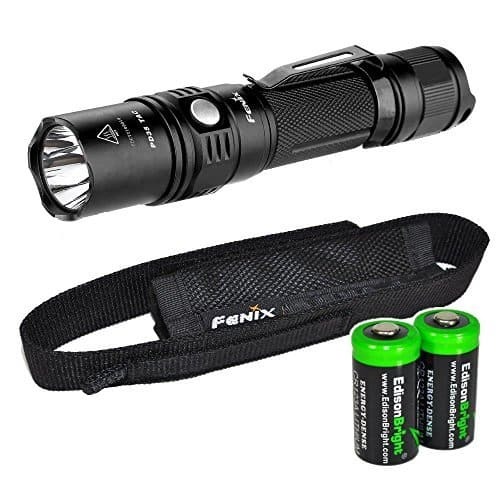 3 What is the Difference Between Rechargeable Flashlight and Regular Flashlight? 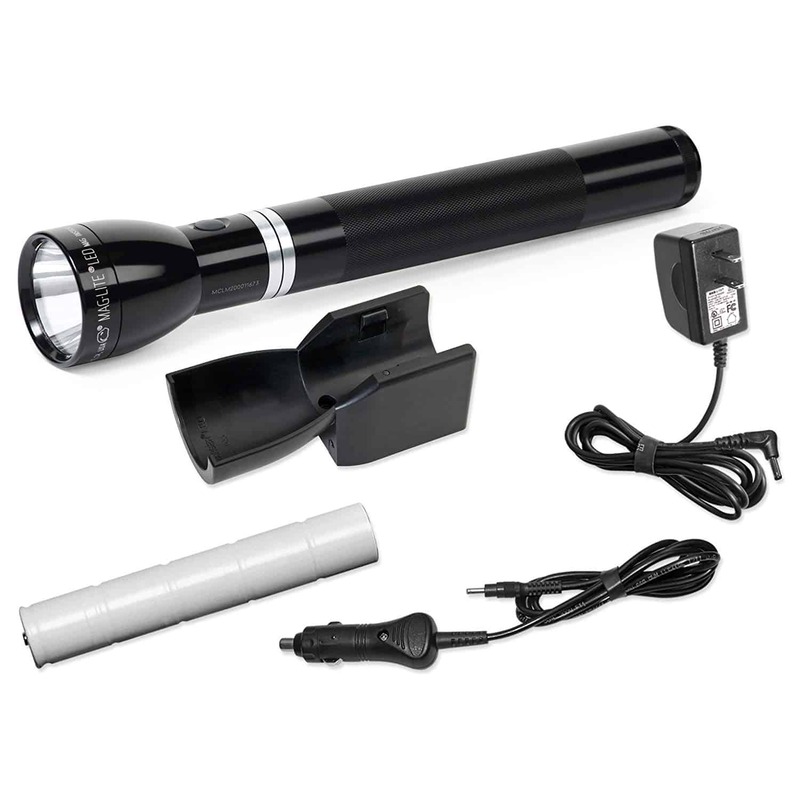 There is a wide variety of rechargeable flashlights available that you can choose from. However, picking the best one might be tricky. To help you out, we have picked a few and reviewed them to make your work easier. 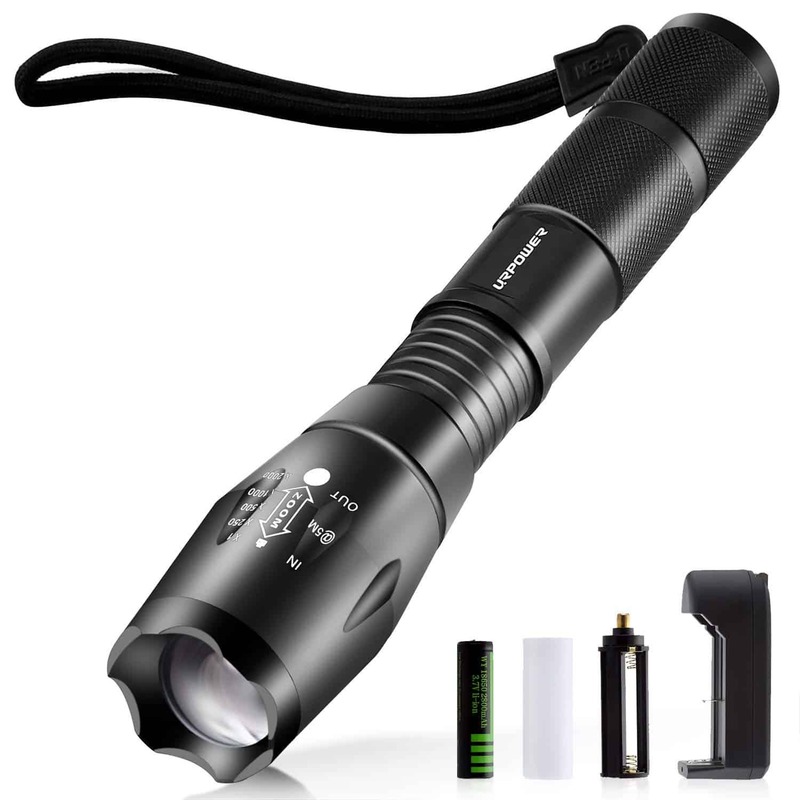 If your topmost priority is to own the best rechargeable flashlight that will offer maximum brightness, then this should be your ultimate pick. With a power output of 1000 lumens, Streamlight’s flashlight will fulfill your requirements. This flashlight has a dual battery system. It can run on a rechargeable lithium-ion battery, or it can even run on two alkaline CR123A batteries. This helps you have a strong power backup no matter what. The body of this flashlight is durable as it has an anodized aluminum construction. Besides that, the flashlight offers you an impressive beam distance of 330 meters. 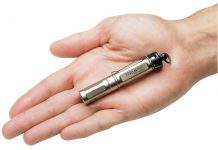 It is also a compact flashlight with only six-inches of length, making it portable and easy to carry. Moreover, you can carry it in your pocket too with the help of a pocket clipper. The flashlight has a momentary-on option along with high, medium, low, and strobe options. 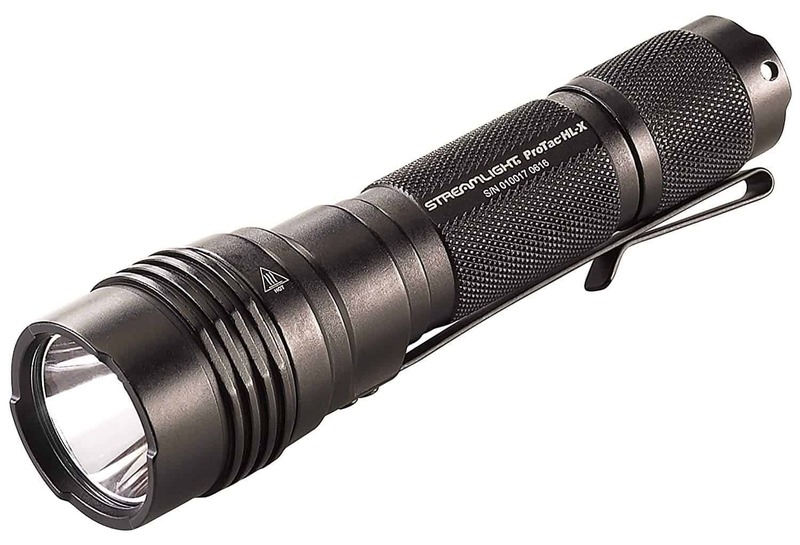 The durability and affordability of this flashlight truly make it stand out. Once you have charged the battery fully, the flashlight can work for up to six hours. This flashlight can light up 2 football fields with its output power of 900 lumens. Not only this, but you can make use of this flashlight in the rainy weather too. It is a great choice for hikers, campers and even fishers due to its water-resistant technology. 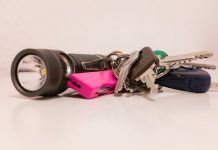 The compact size of this flashlight allows you to even place it in your purse or car. You can charge this flashlight with an Apple lightning cable. However, the package includes a USB lightning charging cable which is more durable than any other chargers. Being one of the lightest flashlights in the market, PeakPlus can help you carry all kinds of outdoor activities with ease. It has a powerful LED and an output power of 1000 lumens. It has five light modes. Additionally, the flashlight also contains a zooming setting that comes with an adjustable focus. This flashlight comes with a year-long warranty. It has a durable body made out of aluminum that can overcome the shock. 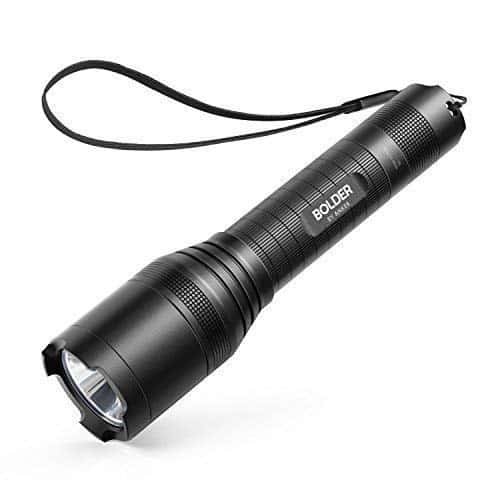 Thus, you can use this flashlight if you are going out with your dog, for a walk and a trekking trip. With an output power of 1000 lumens, this flashlight can light up to 200 meters. This flashlight has two different switches. One is for the outdoor mode and the second one is for the tactical mode. The body of the Fenix flashlight is made out of aircraft grade aluminum. This can withstand overheating. Along with overheat protection, this flashlight has some incredible water resistant features too. Moving on, it can be powered by a 2600mAh USB rechargeable battery or you can also use two non-rechargeable batteries for charging. 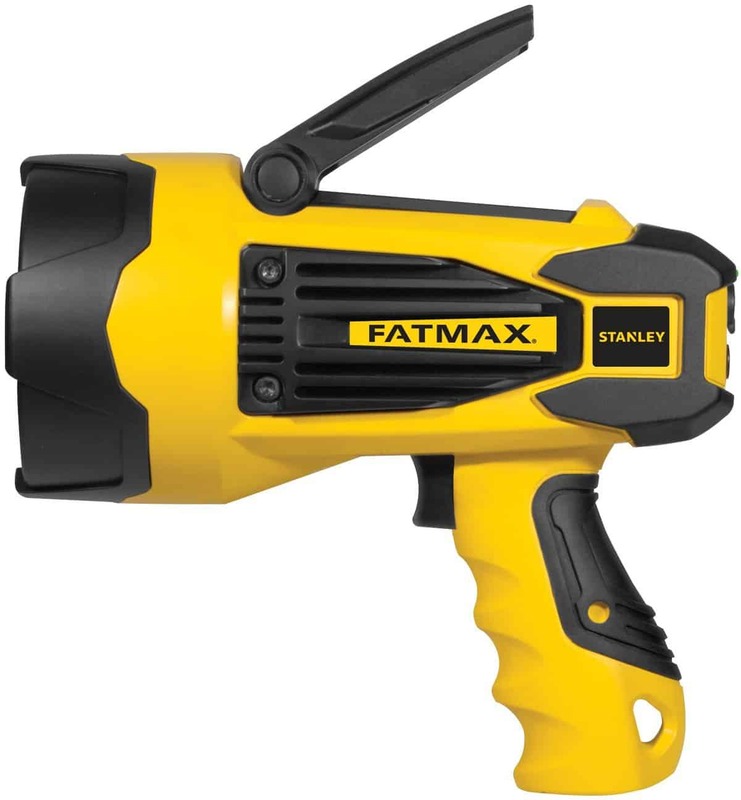 In case you are looking for a rechargeable flashlight that is bigger in size, then you should definitely get your hands on Stanley Fatmax XL. This flashlight delivers up to 920 lumens. It is powered by a single lithium-ion battery. The battery can be charged by using an AC or DC adapter. Once you charge the battery, it can last for up to 12 months. This flashlight has a good battery life and at the same time, it also has another very intriguing option: Now, you can go completely hands-free! You can use the collapsible stand lock and pivot to make your flashlight stand in the dark. This is probably the smallest flashlight on our list because it measures about 2.6 inches. Powered by rechargeable CR123A batteries, this flashlight has a power output of 500 lumens. It has a magnetic tail cap which allows you to go hands-free. This can fasten to ferrous surfaces while you are working. So basically, you can make the flashlight stand upright along with magnetizing it to any magnetic surface of your choice. Not many flashlights are available that will provide you with the option of having a timer. 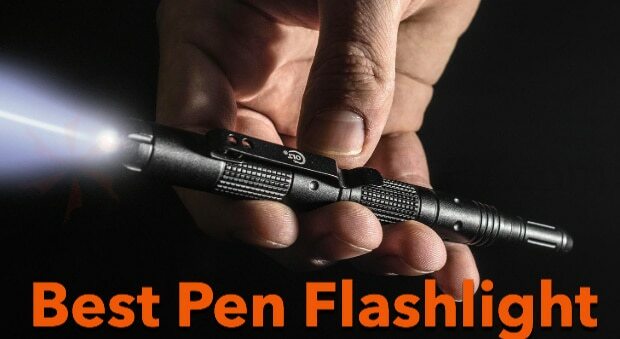 But Olight S1R baton comes with an amazing timer option. You can use this to set a timer between 3 to 9 minutes in case you have to move away from the light source while working. The maximum beam distance of this flashlight is 407 meters. 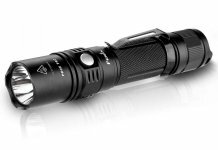 It has a power output of 643 lumens which comes with a very quick focusing beam. You can very easily adjust the beam from flashlight mode to spotlight mode. The flashlight is water and shock resistant that allows it to withstand harsh conditions. Also, it has a durable anodized aluminum body which further makes it a great option for outdoor use. Alongside this, it offers you three modes: full power, low power, and eco power. The running time is four hours on full power, 17 hours on low power, and 37 hours on eco mode. If you think that the running time is the best part, then the next point will amaze you even more. This flashlight is really user-friendly. By this, we mean that you can set the modes just by clicking. You have to click once for mode one. For enabling the second mode, you have to turn off the flashlight and click twice. Lastly, for mode three, turn it off and click thrice. With a power output of 500 lumens, you might think that this rechargeable flashlight by Streamlight is not really a suitable option for you to consider. Well, you are very much mistaken because the simplicity offered by this flashlight makes it fit for everyday use. 500 lumens is still very bright to help you around with carrying out your daily duties. This flashlight has a lithium-ion rechargeable battery, but you can also use other Strion chargers to charge it. It also has a super durable built as it is made out of aircraft aluminum that proves to be impact resistant. For this reason, it is highly recommended for use by security officers or for hiking in very harsh conditions. However, better and more diverse options are available by the same brand, as Streamlight is one of the most well-established flashlight manufacturers out there. Having an impressive beam distance of 1150 ft and a power output of 1000 lumen, this flashlight definitely has a great value for money. It has a super bright Cree LED that is highly recommended for hiking, camping, and cycling. Moreover, this flashlight uses a rechargeable USB lithium-ion battery. The USB charger is also super safe as it comes with circuit protection. It offers five lighting modes: High, Middle, Low, strobe, and SOS. You can also very easily switch between the long beam and flood beam with the help of the twist zoom lens. This flashlight offers you a lifetime warranty which means that any time your light source stops working, you can easily get it replaced. Pelican 7600 has a very sturdy and tough aluminum built. Thus, it can withstand great pressures and shock. 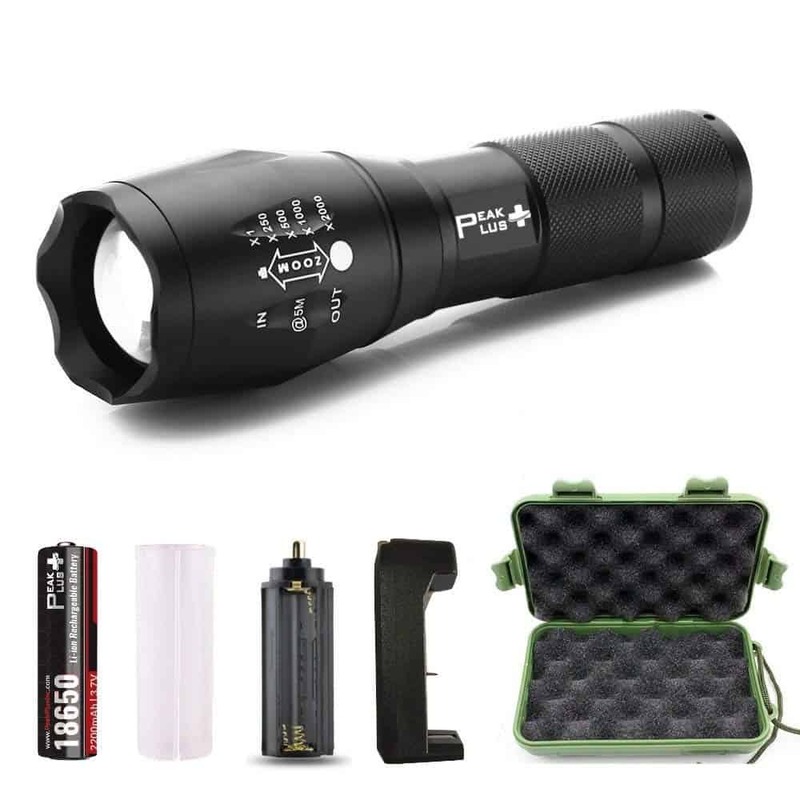 For this reason, this flashlight is very popular amongst firefighters, police, aerospace engineers, industrial workers, military men, and local consumers. The tough body and 944 lumens make it a great pick for field and home usage. It comes in four modes and three LED colors (the usual white, extra red, and green). You can avail night vision and also traffic control mode by pairing this flashlight with other Pelican accessories. Buying Guide for the Best Rechargeable Flashlight: What Factors Should You Consider? We have reviewed some of the best rechargeable flashlights that you can choose from based on your activity demands. But now, we will help you to look out for the best features in accordance with your needs so you can further evaluate your choices for better results. While buying any product, of course, you want it to be user-friendly. 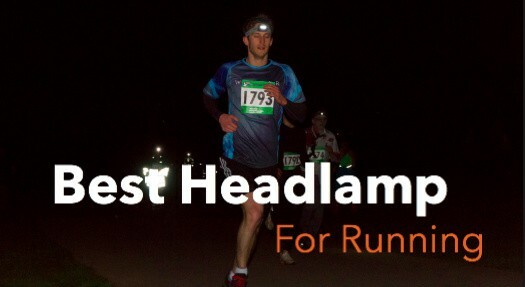 Similarly, while choosing a flashlight, look for the options that will help you better. To illustrate, If a flashlight has minimal buttons, then it is more preferable because it is perfect for igniting your way during dark times. Flashlights should also be easy to turn-on which means that they should require only a single hand to turn them on or off. You should also thoroughly go through the different modes on a flashlight. Check the cable charging and all the built-in battery charging options. While buying a flashlight, another very important thing to consider is the brightness. The lumens each flashlight has to offer varies widely. So based on your demands, you should pick a flashlight of suitable brightness. This aspect is greatly affected by the power output so it is significant to consider the activity you will be using your flashlight for. For example, if you want to keep the flashlight on for long hours as in the case of cycling, then a flashlight with lower lumens will work too. Since you need continual light while cycling, therefore, it is smarter to opt for options that have a longer running time rather than having a high power output. If you have to keep the flashlight in your pocket, then make sure you are buying a compact and portable flashlight. This should not only be light in weight but should also have minimal dimensions so you can fit it anywhere very easily. You cannot certainly take a 12-inch long flashlight while you are out with your dog for a walk. However, if you are looking to place the flashlight in your workspace which does not need much moving, then anything with medium light output and battery life will work. Different circumstances call for different options. In this case, it will be wiser to use a bigger rechargeable flashlight as you will not have the burden of carrying it around. So, you have stumbled over this term for a while now, but what does this exactly mean? Simply put, it is the distance the beam light is visible from the flashlight. However, there is a focus setting available which helps you adjust the beam distance. There are other options available as well like colored LED lights and strobe emergency settings. Having a flashlight which can survive tough conditions is also one of the factors that you should strongly consider while buying a flashlight. You can evaluate durability based on a number of things including impact resistant, shock absorbing, water resistant, and many other such properties. A flashlight ranks higher based on its durable body and especially scratch resistance. Some of the flashlights are rated better if they can survive the harsh conditions while hiking and camping. This basically includes a number of things like how long does it take for the batteries to charge fully, how much do the batteries cost, if they caused the brightness to become dull while running low, etc. 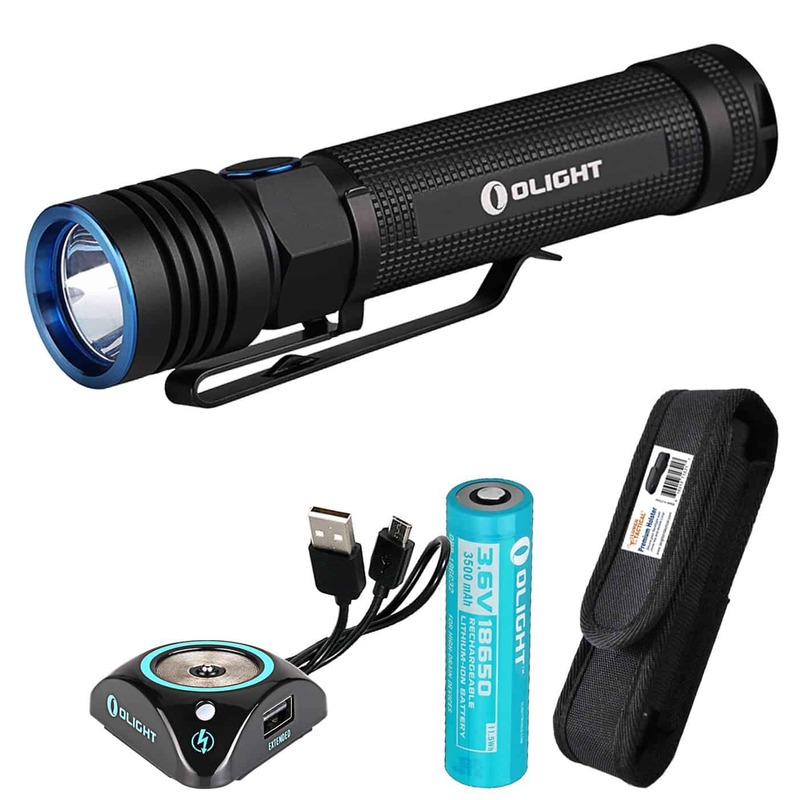 It is very important to pick a rechargeable flashlight that responds well on the whole battery debate because it is definitely annoying to use dim and fast draining light sources. What is the Difference Between Rechargeable Flashlight and Regular Flashlight? Well, once the battery dries out, you need to buy new ones if your flashlight doesn’t contain a rechargeable battery. This is why they are kind of getting obsolete, as we are now used to of rechargeable batteries commonly used in our mobile devices and other tech gadgets. This makes rechargeable modern flashlights trending, especially USB flashlights that can be charged with USB port just like your phone. 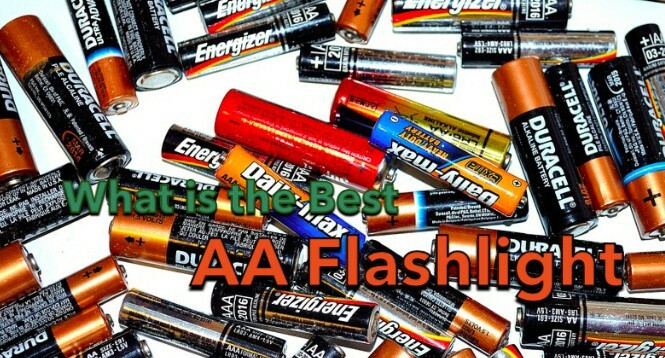 In addition, the traditional flashlight batteries are Alkaline batteries, while rechargeable batteries are Lithium-ion batteries. Rechargeable batteries are also easy to maintain and are more cost effective in the long run as you don’t have to buy batteries again and again. 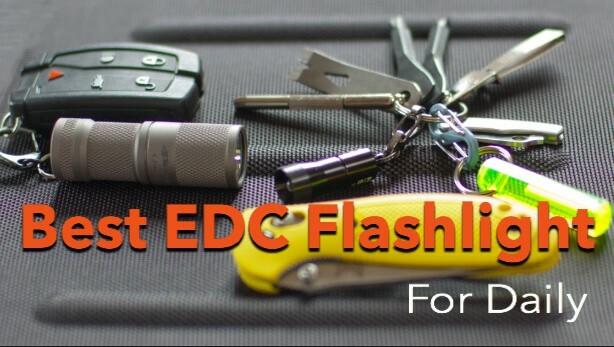 The flashlights mentioned above are our choices for the 10 best rechargeable flashlights based on the buying criteria that you should consider. 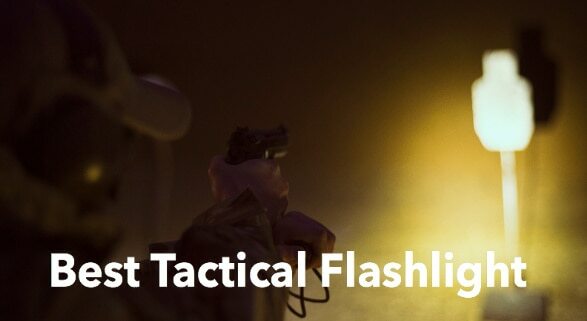 Out of the ten, the best flashlight is the Streamlight 88065 Pro Tac HL. Being very affordable in price and at the same time offering 1000 lumens power output, this flashlight deserves to be your top priority. It proves to be compact and easy to carry around in your pockets and purse. Along with a fairly decent beam distance, its tough anodized aluminum body can withstand stress and shock with ease.